Having served on Benchmark’s advisory board for over 12 years, I have seen firsthand that Benchmark has earned the respect of their clients and candidates because of a deep understanding of these complex markets, not just joining the conversation, but leading, creating and often initiating thought leadership themselves in areas such as Cybersecurity and Risk Management. Benchmark’s specific commitment to the Intelligence/DoD/National Security Community has been proven many times over. They understand the importance of a mission; the mission of their clients and our clients; they understand that every week in our business is a lifetime and that human capital is our most important asset. Their network of senior officials from government and industry are unmatched in my experience. 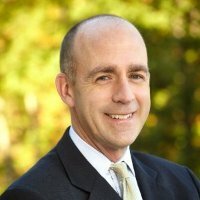 Andrew Maner is currently Vice President and Partner, NISC Business Leader at IBM Global Business Services. He was previously the CEO of National Interest Security Company (NISC), a DC Capital backed Information Management/Services and Mission Consulting company serving National Security/Intelligence/Defense, Homeland Security, Energy, Federal Health and Federal Civilian Agencies. NISC serves the national interest of the United States by providing government clients with customized high-end technology and information management mission solutions, strategic consulting services and integrated program management expertise. NISC provides innovative thinking and a mission-focused orientation from strategy to operational solutions through highly developed employees and solutions. Until 2007 he was President of ABM LLC, an advisory services firm specializing in federal strategic sales, marketing and messaging, and revenue growth activities in federal, state, and local security markets. Mr. Maner was appointed by President George W. Bush in January 2004 as the Chief Financial Officer (CFO) for the Department of Homeland Security (DHS) until March of 2006. As the CFO, Mr. Maner was responsible for the on-going integration of agencies such as the United States Cost Guard, United States Secret Service, U.S. Customs and Border Protection and FEMA into DHS. Maner also managed all budget, finance, financial system, strategic planning and investment review functions within the $50 billion Department. Mr. Maner also served at the U.S. Customs Service (later to become U.S. Customs and Border Protection under the Department of Homeland Security) from January 2002 to January 2004. Mr. Maner was the Chief of Staff to U.S. Customs Commissioner Robert C. Bonner, serving as the agency’s principal operating officer. In March 2003, Mr. Maner was also asked to direct and manage the merger of the four component agencies of CBP, including U.S. Customs, U.S. Border Patrol, INS inspections and Agriculture & Quarantine Inspections. The merger involved a total of 42,000 personnel and budgets totaling $7.0 billion. Before Joining U.S. Customs, Mr. Maner was Vice President for Development and Sales for ICG Commerce, an international supply chain services provider. During his tenure, Mr. Maner also founded and managed the company’s indirect channel practice, their leading vertical revenue producing division. He also co-managed private fundraising rounds that raised over $100 million from financial sources worldwide. Prior to ICG Commerce, Maner was a partner of Aligne, Inc., a technology consulting firm specializing in information technology, e-commerce initiatives and supply chain outsourcing. Mr. Maner served in the administration of President George Bush in the White House Office of Advance and later as a Staff Assistant under Press Secretary Marlin Fitzwater in the White House Press Office (1991-1993). Following the change in administration, he continued to work for former President Bush and Mrs. Bush, as Director of Press and Political Affairs in the former President’s office in Houston, Texas. During the U.S. aid effort in Somalia in 1993, Mr. Maner served as Special Assistant to the United Nations Envoy to Somalia in Mogadishu, where he helped manage operations and interactions between the thirty nations contributing troops and aid. He also assisted with political, economic/trade development and food aid efforts throughout the country. Mr. Maner is a graduate of Purdue University (B.A. ), where he currently serves on the Dean’s Advisory Board and received his Masters in Business Administration (MBA) from the J.L. Kellogg Graduate School of Management at Northwestern University. In 2005, Mr. Maner was selected for the coveted Purdue University Old Masters award program and was chosen to receive the Distinguished Public Service Award from the United States Coast Guard in 2006.